Guiding Question: What is in our environment that God created either directly or indirectly? Procedure: Take students on a long walk near your classroom or on a hiking trail. 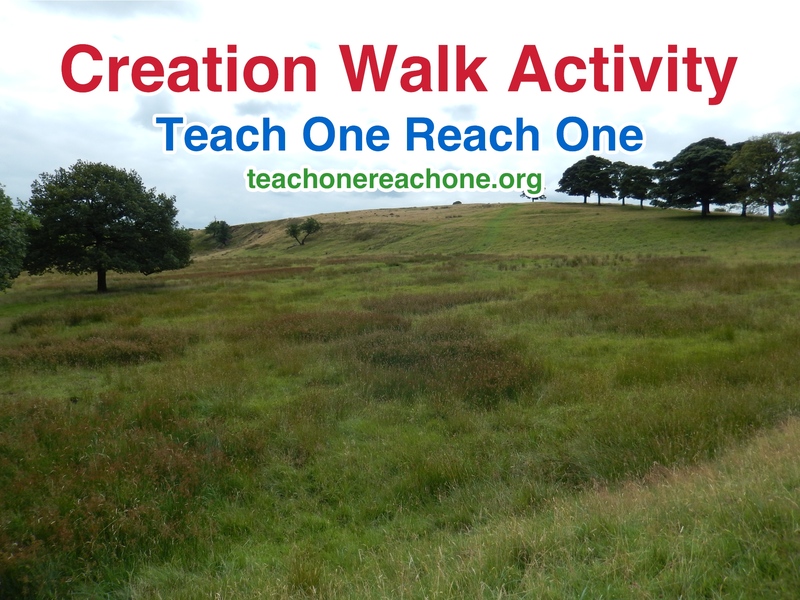 As you walk with the students, have them point out/sketch/photograph the things they see that God created. Discuss how seeds, weather, and man’s talents are still a result of God’s creation. Even though God may no longer create something out of nothing, He is still indirectly involved in the Creation of everything. How is God still involved in creation today? When people create or invent things, how is God involved? Why do some people worship the creation/nature rather than the Creator (God)? How important do you think it is to take good care of God’s creation? Can you find Bible verses to support your thoughts? Supplemental Activity: Have students combine their sketches/photos to create a larger piece of art honoring God as the Creator.